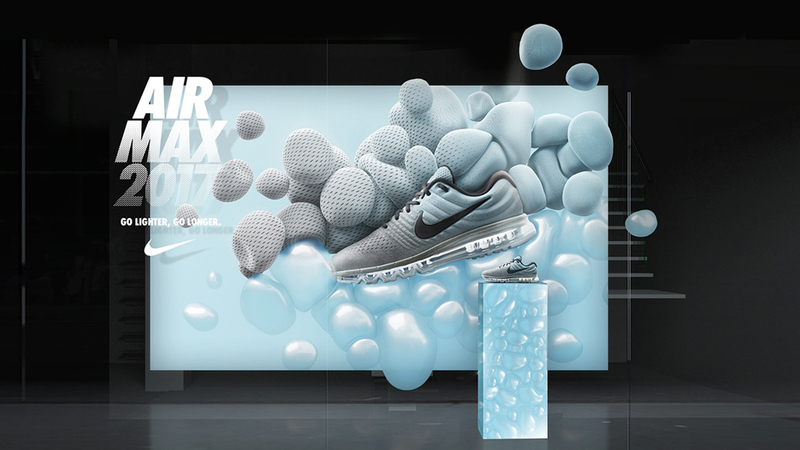 Nike Europe has created a graphic driven campaign to promote the 2017 Nike Air Max. 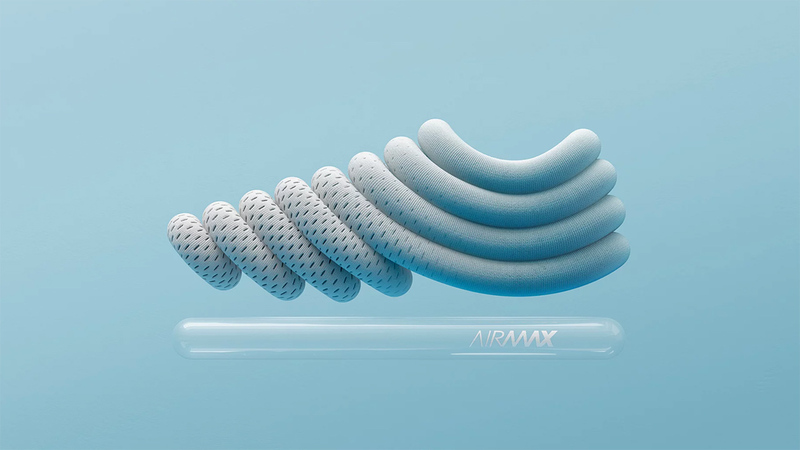 The Go Lighter Go Longer campaign features a short animated film, which explored the shoes design properties, particularly the ultralight support and enhanced comfort. 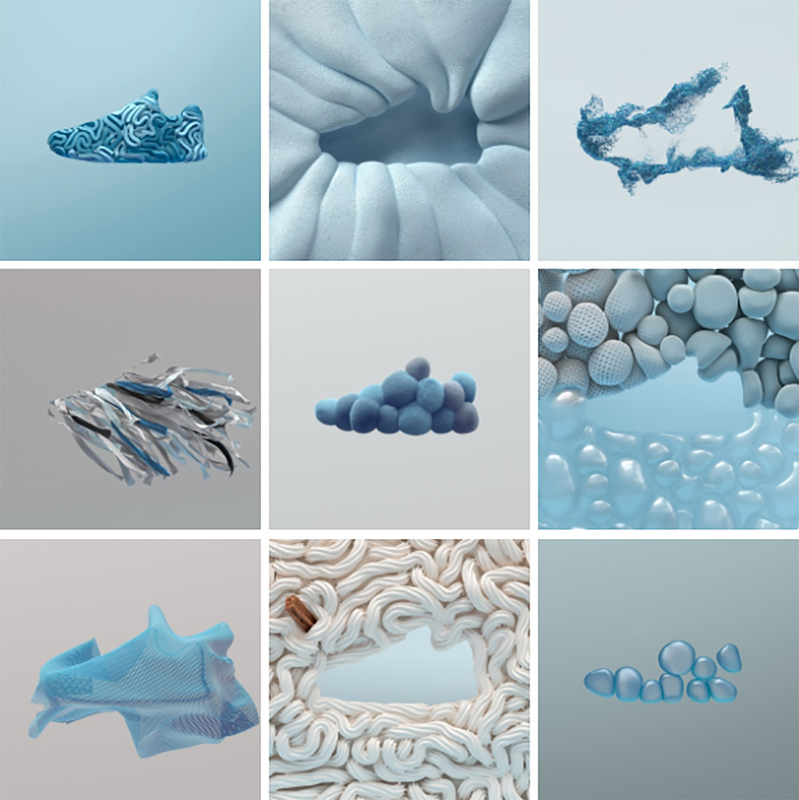 The campaign employs a series of visual metaphors which bring the shoes properties to life and were inspired “by scenarios encountered on an everyday run”. The campaign, which was created by design agency ManvsMachine London with Audio by Zelig, is “a metaphorical exploration of air and the negative space it occupies”. The result is a visual and audio feast with rich designs sculpting, shaping and adapting before the viewer’s eyes. The film depicts the shoe in motion, the comfortable materials, the firm yet lightweight support – and yet they don’t actually reveal the shoe, until the final frames. The graphics are accompanied by a superb audio track, which sets the beat and rhythm of the piece complete with the sounds of running – footsteps, breathing and traffic noises. As ManvsMachine creative director Adam Rowe told Stash Media: “Our aim was to visually overload the viewer with as many metaphors as possible. 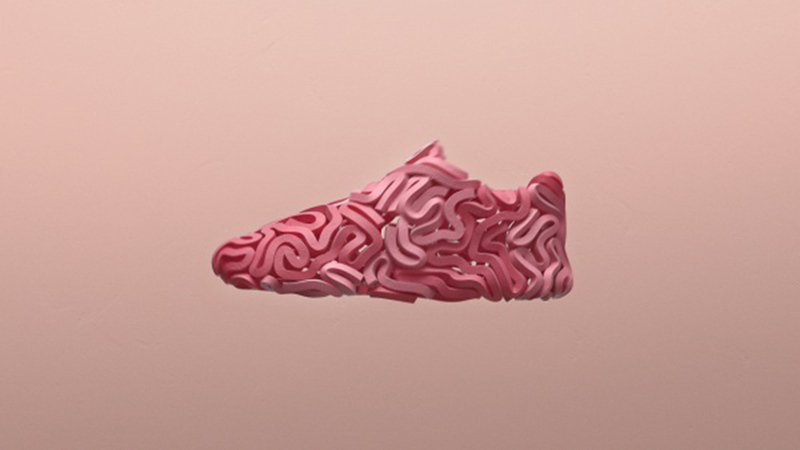 Nike have created a graphic feast depicting how the shoes feel without actually showing the shoe. The use of the negative space of the shoe design is masterstroke and an effective technique. The use of strong graphic visuals along with a thumping soundtrack combines to create a really cool and successful campaign, which is in keeping with the brand. 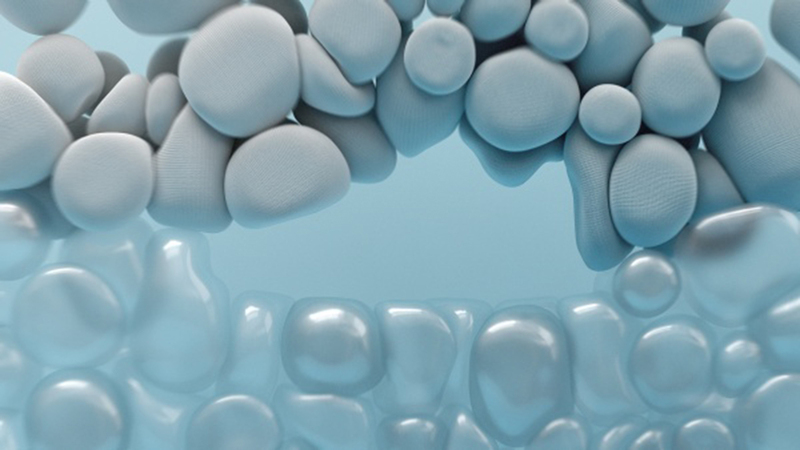 The visual feast was recently awarded a gold lion for design at Cannes. 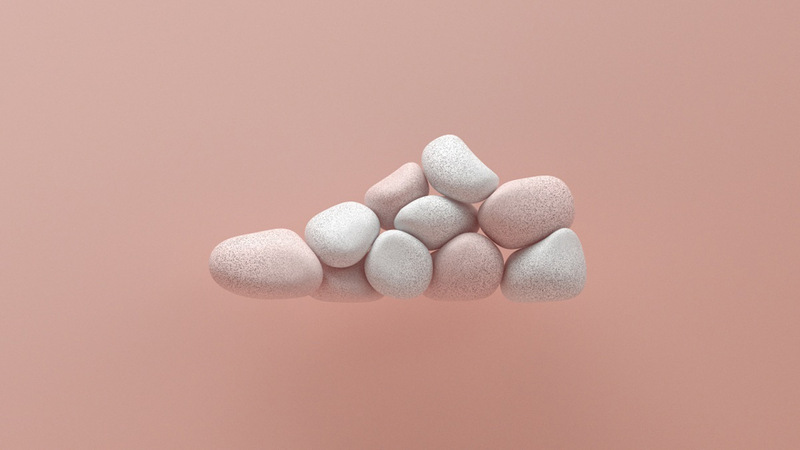 Nike, the brand which arguably owns and invests in performance more than any other, is treading into the other domain with Nike Air Max 17, presenting the brand’s icon with a whimsy and wonder that is tonally quite different to its pedigree.